The company that abandoned plans for a zipwire in the Lake District is proposing setting up a similar facility elsewhere in the national park. Treetop Trek faced strong local opposition in 2014 to its scheme near Glenridding, but now wants to build a 1,200m-long quadruple line across Thirlmere. The zipwire would be part of an activity hub at the lake, which would also see the setting up of an 18km (11-mile) cycle track around Thirlmere. No plans have yet been formally submitted to the Lake District National Park Authority, but Treetop Trek, which operates an adventure facility at Brockholes between Ambleside and Windermere, is holding a public consultation meeting on Thursday. Mike Turner, managing director of Treetop Trek, is proposing the hub in collaboration with international ropes course expert Nick Moriarty, who is also a director of Treetop Trek and owner and director of Zip World in north Wales. Mr Turner said: “We have been very carefully considering locations within the Lake District for the last three to four years and are confident that Thirlmere would provide the perfect site for an exceptional family activity hub. The pair launched Treetop Trek in 2012. 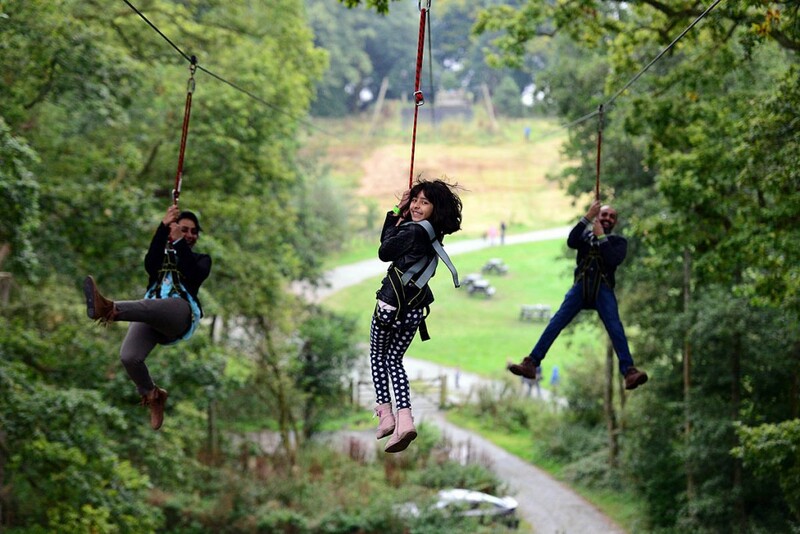 The site has a high-ropes route and features the UK’s first multi-use zipline activity. The company added its Treetop Nets in 2014, gained the title of best visitor experience in England in 2015. A public display of the plans took place earlier this month in St John’s in the Vale. The proposed hub and zipwire would be built on United Utilities land around the reservoir. The first consultation attracted about 100 visitors and today’s meeting will take place at Swirls Car Park, the proposed site of the main hub, between 4pm and 6pm. The company said: “The Thirlmere Activity Hub would be an all-year-round attraction, attracting a large number of visitors, providing sustainable tourism for the surrounding area. “This stunning part of the Lake District is not explored by the many and often bypassed by those travelling from Windermere to Keswick along the busy A591. “We will attract people in all seasons to this fantastic outdoor adventure and, in doing so, help local businesses thrive. “While our environmental impact is minimal, we are working closely with local stakeholders on a number of schemes to provide a positive legacy for the area including the restoration of native woodland and improved public access. Under the scheme, riders on the zipwire would travel twice over the water from heights up to 130m above the ground, crossing the main A591 alongside the lake. Treetop Trek said it would be the highest and longest zip line in England. In 2014, Treetop Trek dropped plans to construct a zipwire down the Greenside valley at Glenridding on national park authority land. A poll conducted by Patterdale Parish Council found 96 per cent of local people opposed the proposal. The latest plans have already drawn criticism from people who live near the proposed development. The Lake District was recently granted world heritage site status by Unesco. Concerns raised include the distraction to motorists on a twisty section of the main Lakes road with zipwire users passing overhead, along with the possibility of items being dropped on vehicles; the presence of red squirrels in the forests around Thirlmere; the conflict with low-flying military aircraft, which frequently fly over Thirlmere on exercises; and the increased visitor numbers and accompanying traffic in what locals say is a quiet Lake District valley. Conservation charity Friends of the Lake District said it had met the company to discuss the plans and its concerns over the proposals. It said it supported the creating of the cycleway but would object to the zipwire, which it described as ‘wholly inappropriate’ for the location. It said: “Although the structure itself may have a minimal impact we consider that while in use the proposal would cause significant detrimental impacts to the landscape character and diminish the tranquillity the Thirlmere valley possesses away from the A591. “We are also concerned regarding the management of visitor numbers, increasing traffic and the provision of adequate parking for commercial development in this area of the national park. “National parks are for everyone to enjoy not just those who can afford to participate in adventure experiences. A commercial development of this type in this prominent location could potentially have a significant impact on the features people visit the Lake District to enjoy – the landscapes, the tranquillity, the heritage. “Furthermore, we must now also consider the Lake District’s newly bestowed status as a world heritage site. The Thirlmere Valley makes an important contribution to the Lake District’s outstanding universal value – the reasons for being awarded the status. This is especially true of the valley’s association with the early conservation movement. 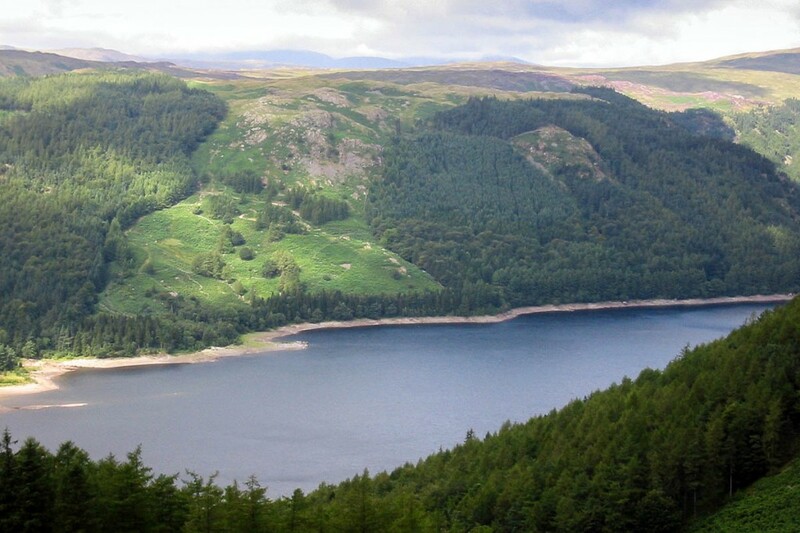 “Thirlmere, and the resistance to the desire to create a reservoir to service Manchester in the 1870s was a seminal moment in the history of the conservation movement and landscape protection in the UK and beyond. “This battle brought in to focus the fact that landscapes matter to everyone, not just those who own land; it highlighted the incredible natural resources of the Lake District but also its vulnerability and sensitivity. Treetop Trek said it has already addressed some of the issues and said existing cycleways will be improved and incorporated into the attraction. The cycle tracks would be open to the public and free to use, it added. In 2013, the Lake District authority turned down plans for a zipwire at Honister, submitted by the Honister Slate Mine. It was the second time the mine’s zipwire bid had been defeated. In September 2011, the national park planning committee turned down the original bid for a 1.2km zip-wire, the brainchild of the late Mark Weir, then owner of the mine, who died in a helicopter crash near the site. The plan split opinion, with the Friends of the Lake District and two local parish councils opposing the zipwire, but Everest summiteer and Cumbria resident Sir Chris Bonington in favour. grough contacted the Lake District National Park Authority for a comment but received no reply. Treetop Trek should be told to get lost from the National Park. Why can't they build something outside a NP? Putting a zipwire above an "A" road, are they mad? There are smashes in the wall regularly where vehicles leave the road alongside Thirlmere without putting yet another distraction in drivers way. United Utilities are just as bad. They've made a right mess of Ennerdale and messed up the drinking water without a thought for the consumers. A zip wire crossing the A591 and parts of Thirlmere itself should be no more welcome than a windfarm, or a line of pylons and high voltage electricity lines would be if proposed in that same area! Organisations such as Treetop Trek have no concern for the Lake District's World Heritage status, or that it is an area of outstanding natural beauty. They are only concerned with one thing - making themselves a large amount of profit! The vast majority of Lake District visitors go there to immerse themselves in the tranquillity and beauty of the landscape. If this scheme gets the go-ahead (which I actually think will be highly unlikely), it would set a precedent for future schemes. In the words of the late Frankie Howerd: - "Nay, Nay, and thrice Nay"! - Let Treetop Trek trek off to somewhere more suited and less intrusive for their profit making commercialisations! Wouldn't something like this be better off in the North Pennines? It could bring a big increase to somewhere like Melmerby - imagine zipping down from the Hartside Cafe, which has road access to manage busloads of trippers. Though I worry about exact details the area around Thirlmere is away from the most scenically attractive parts (i.e. honeypots) and Thirlmere is a reservoir. So little is it visited by walkers that the YHA closed down the hostel. The Lake District scenery is actually a man made environment with sheep and mines ( and reservoirs) having changed it, often to our satisfaction. Its a working environment that must provide income for its inhabitants. They also need it to provide water and fuel so its downright foolish to moan about waterworks and windmills, and such necessary infrastructure. Zip wires are great fun - in the right place but not across Thirlmere. As our population increases, places that are beautiful in their own right - and peaceful - become more and more important. Attractions and thrills can be had anywhere. This is about rampant commercialism and moneymaking and nothing else. there is a real danger that these ventures will eventually destroy the very qualities that bring people here in the first place. A National Park is not an adventure playground or an outdoor gym and this National Parl in particular is small in scale and fragile with a beauty that could very easily be ruined. NO zip wire. Thirlmere is a haven of tranquility, a favourite escape for people wanting to enjoy the stunning views of Helvellyn and avoid the more commercial areas of the LDNP. Screaming people on a zip wire against the backdrop of one of the UK's most iconic mountains would no doubt reduce the number of people who come to this area to enjoy the true values of the LDNP. The roads through the LDNP were not built and cannot cater for the number of visitors we receive. A proposal that will increase traffic levels even further on the one and only connecting road through ythe LDNP is a horrifying thought.....theme park springs to mind. Offering a cycleway is just a scam as there is already a very attractive and quiet cycle route around the back of Thirlmere and returning off road easily to St Johns in the Vale, via forest roads. It needs no improvement! Where else in the country would somebody consider a zipwire over an A road? ... I wonder what the reaction would be if someone suggested putting bouldering holds all over Stonehenge to increase visitor numbers. Obviously people would have to pay to use this facility. Yes, I thought so. Well this is, in my opinion, exactly the same. It would spoil forever a beautiful area. Hopefully common sense will prevail over greed. The comments above have raised many very valid points, all of which I strongly endorse. All developments of this sort are merely thin edges of the wedge - they are soon accompanied by car parks, cafes, PA systems, musak and machinery noise. And then why not a chair lift? And sooner of later a funicular in a tube a la Cairngorm. And then a must-have concrete-blockhouse / cafe and visitor centre on the summit of Helvelyn. It's an obvious progression, give 'em an inch and they'll take a mile. Snowdon was ruined in my grandparents time. As a youngster with thousands of others, I protested the projected cable car to the summit of the Matterhorn. The Aiguille du Midi, Lands End and Stonehenge have been ruined in my time. What's next? A totally ridiculous project that would ruin a beautiful Lake District valley... A scheme thought up by United Utilities and Treetop Treks to milk the National Park and its popularity to make money...as simple as that. I have never had any time for people who object to a proposal but don't put their money where their mouths are. If people want to prevent a recreational facility for visitors.. simply club together and buy the land for yourselves. After that you are free to do with it as you wish. Looking above at the article there are more than enough objectors to put together a subscription to buy the land. Indeed if you do, you will be following the great tradition of Beatrix Potter who used her considerable wealth from her books to buy up farmland and preserve it as she wished.